They have done all the research now it’s time to take action and earn the Action patch from MakingFriends®.com. 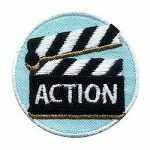 This patch is included free in the Action Adventure Badge in a Bag® kit from MakingFriends®.com for girls working on the aMuse JOURNEY*. 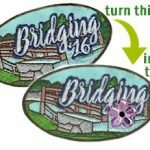 Bridging 2016 Patch CLOSE OUT! Stretch your patch budget by upcycling our clearance patches! Candle making is a fun activity for girls. They can make them for fun, as a gift or even to use in a special ceremony. This eye catching patch is a great reminder of your girls learning something new. Baking them, decorating them, eating them… what’s not fun about cupcakes? Have a local baker share their skills and tips with your girls so they can learn tips and tricks for baking and decorating cupcakes. Your troop or service unit can host a contest for the girls or make it a scout and someone special event. Cupcake decorating is also a great activity for your recruitment event. 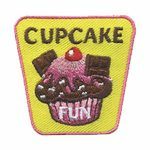 Like the patch says, get the girls together and have some Cupcake Fun! 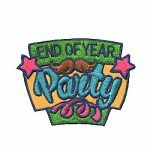 Surprise your Girls with this end of the year party patch! 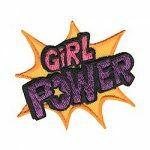 Remind your group how great it is to be a girl with the Girl Power patch from MakingFriends®.com. This colorful patch is great for girls of any level but especially appropriate for girls working on the Junior Agent of Change JOURNEY*. Girls using the Girl Power Adventure Badge In A Bag® from MakingFriends®.com will find this patch included with their kit. 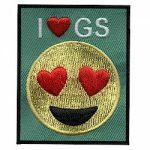 Whether you are celebrating an important date or event in scouting or just because your girls like to show their Girl Scout* pride, your girls will love this cute I Love GS* patch. 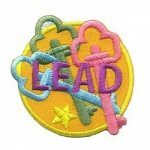 Our “Lead” Patch is perfect for your Brownie Quest JOURNEY* or for any project that involves leadership. 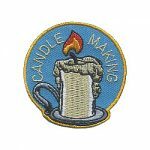 This patch from MakingFriends®.com is included free in the Leadership Quest Adventure Badge in a Bag® kit from MakingFriends®.com. 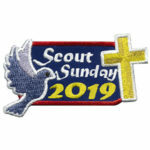 Give your girls the Scout Sunday 2019 fun patch from MakingFriends®.com to recognize that a scout has taken part in Girl Scout Sunday*. The Girl Scout Sunday* tradition was started to make people in houses of worship aware of scouting, and to allow Girl Scouts* to live out their “Duty to God”.